Ryder Cup organizers say they will do all they can to support a spectator who suffered a serious eye injury when she was struck by a Brooks Koepka tee shot as she reportedly considers legal action. 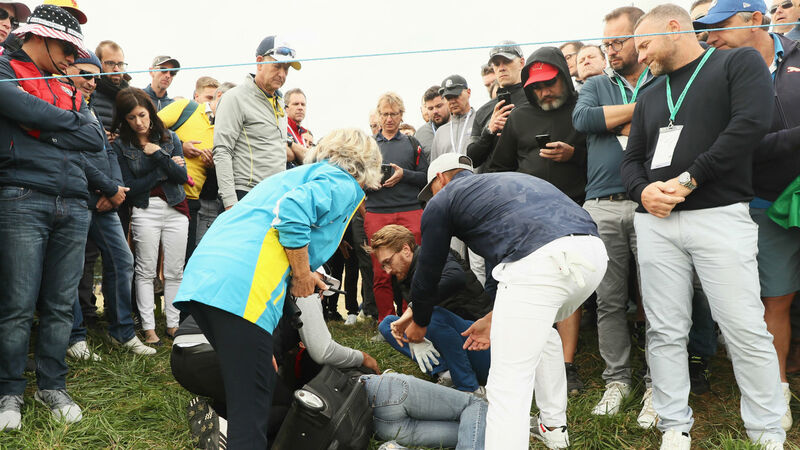 Corine Remande was treated on Day 1 of the event at Le Golf National after she was hit by three-time major champion Koepka’s ball at the sixth hole. Remande is reportedly thinking of suing for the damage done after being told she had lost the sight in her right eye. It was claimed by Remande that she was not given sufficient warning that Koepka’s stray shot was heading in her direction, but tournament organizers said “fore” was shouted several times and vowed to help in any way they can. “It is distressing to hear that someone might suffer long-term consequences from a ball strike,” said the European Tour in a statement. “The spectator hit by a ball at the sixth hole during Friday’s play was treated by first responders immediately and taken to hospital. “Ball strikes are an occasional hazard for spectators but this kind of incident is extremely rare. We can confirm that ‘fore’ was shouted several times but also appreciate how hard it can be to know when and where every ball is struck if you are in the crowd.